Did Obamacare premiums rise 160 percent in West Virginia in four years? Patrick Morrisey speaks to reporters on Nov. 1, 2018. In his Jan. 2 post, Morrisey said the country must move on from the law because of "skyrocketing premiums" and "corrupt subsidies." He said he would pursue other ways to help "people with preexisting conditions." "We need affordable, high quality, health care choices," he wrote. "Obamacare isn’t doing that. Premiums have gone up 160 percent in West Virginia in 4 yrs — bankrupting families & destroying choice." First, the period 2013 to 2017 is not the most obvious interpretation of "premiums have gone up 160 percent in West Virginia in 4 yrs," because data also exists for 2018 and 2019. That’s because Obamacare mandates -- such as barring denials of applications and requiring certain "essential benefits" -- hadn’t kicked in yet. Regulations changed in 2014, making it difficult to compare 2013 with 2017. "The 2013 plans, on average, had lower actuarial value, covered fewer benefits, and excluded significant segments of the population -- those with significant health problems or risk of health problems," Blumberg said. Because of this, "the premium comparisons are inappropriate across the periods, unless of course, you want average in the infinite premiums charged to people denied coverage outright, or the very high premiums charged to people who decided the plans offered were not worth the high prices charged to them." Morrisey’s office also provided updated data showing that the premiums for West Virginia using this method rose from $702 in 2017 to $855 in 2018. That demonstrates continued premium hikes -- a 228 percent increase over 2013 -- but in addition to using the problematic base year of 2013, this covers a span of five years, not four, as Morrisey had said. The Kaiser Family Foundation, a nonprofit that focuses on health policy, tracks dataon Affordable Care Act premiums by state. According to the foundation, the average benchmark premiums for West Virginia in the online insurance marketplace have risen from $289 in 2015 to $596 in 2019. Blumberg offered a similar figure -- 94 percent -- for the same period, using an online tool that tracks the state-by-state change in the lowest-priced "silver" premium, a mid-range category of coverage. 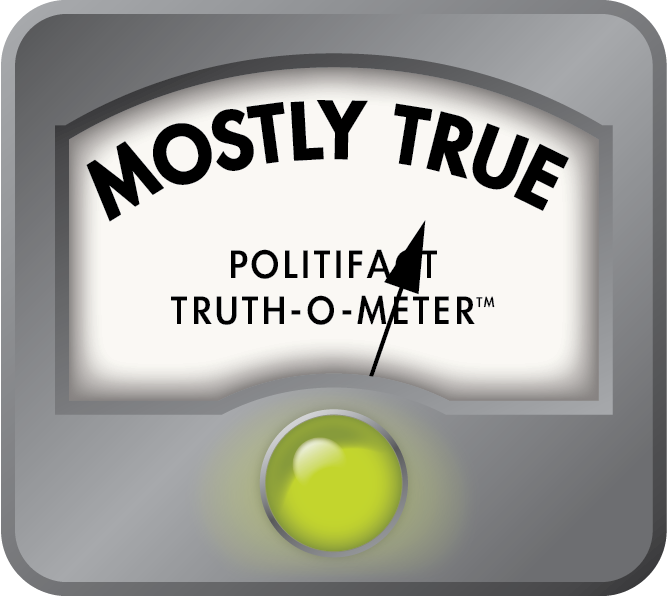 Morrisey said that Obamacare premiums "have gone up 160 percent in West Virginia in 4 yrs."